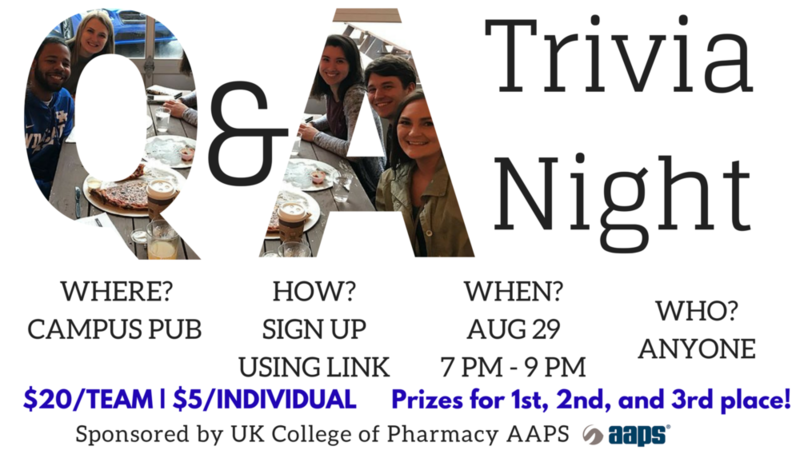 Come out and join our AAPS student chapter for UKCOP Trivia Night! On August 29 from 7-9 pm we’ll ring in a new school year at Campus Pub. So, get your teams ready! There will be prizes for 1st, 2nd, and 3rd place. And don’t worry, the questions aren’t pharmacy focused. Older PostAAPS UKY Student Chapter Merchandise for Sale!